HomeWyzGuys Tech TalkWhere Does Cell Phone Location Data Go? Where Does Cell Phone Location Data Go? Have you ever wondered what happens to the location information your smartphone is collecting about you? Who has access to that information, and for what purpose? As it turns out, as told in a recent report by Brian Krebs, this information is available to pretty much anybody. A related article in Sophos’ Naked Security blog pointed to a major location data breach by location aggregator LocationSmart, a company that purchases cell phone location information from all the major and many smaller cell phone carries. The list includes Verizon, ATT, T-Mobile, Sprint, US Cellular, Virgin Mobile, Boost, and MetroPCS, and Canadian carriers Bell, Rogers, and Telus. Your smartphone is a remarkable device, and has successfully folded several stand-alone devices into a single convenient hand-held computer. The functions include a telephone service of course, music player, book reader, camera, portable data storage unit, laptop or tablet, and GPS. 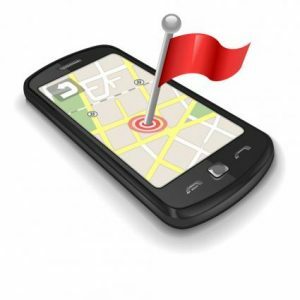 GPS (Global Positioning System) is what provides location information to useful mapping apps such as Google Maps. But most cell phone apps request permission for location information upon installation. Why would a flashlight app need to know your location? Ever wonder how Google knows about traffic tie-ups that they report on Google Maps? It is the result of aggregated, real-time location, direction, and velocity information of thousands of phones trapped in rush-hour traffic flows. Or how Walmart knows you just pulled into their parking lot? Is it a shopping app? What are app developers doing with that information? What kind of data do GPS-connected apps gather? More importantly, just who can access this information? “Then there was the flaw in LocationSmart’s website. Krebs reports that Xiao, the Carnegie Mellon University researcher, found that LocationSmart’s demo page required users to consent to having their phone located by the service, but the application programming interface (API) used to display responses to visitors’ queries didn’t prevent or authenticate interaction with the API itself. This is an area of data privacy (or the lack thereof) this will require legislation to regulate who has access to this information. This is on par with the Equifax breach, in the way that this information is stored with poor or no encryption, and access is provided to anyone with a credit card or the skills to hack the location information directly from the servers. It is another intrusion into our personal privacy that we probably gave away willingly when we installed that app. Again, my advice is to think before allowing permission for location information, and review the permissions on apps installed in your phone. Uninstall any phone apps you are not using, including some of the ones that came preinstalled on the phone.